Explanation: Three thousand light-years away, a dying star throws off shells of glowing gas. 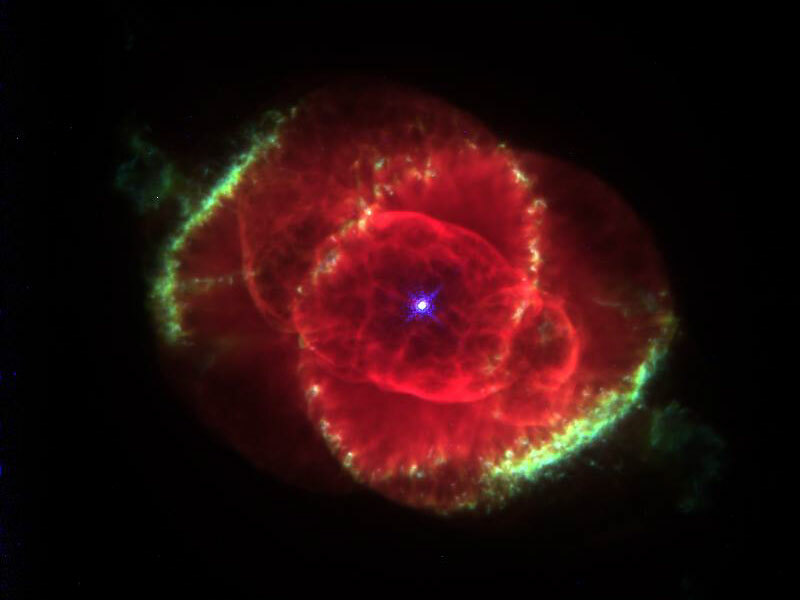 This image from the Hubble Space Telescope reveals the Cat's Eye Nebula to be one of the most complex planetary nebulae known. 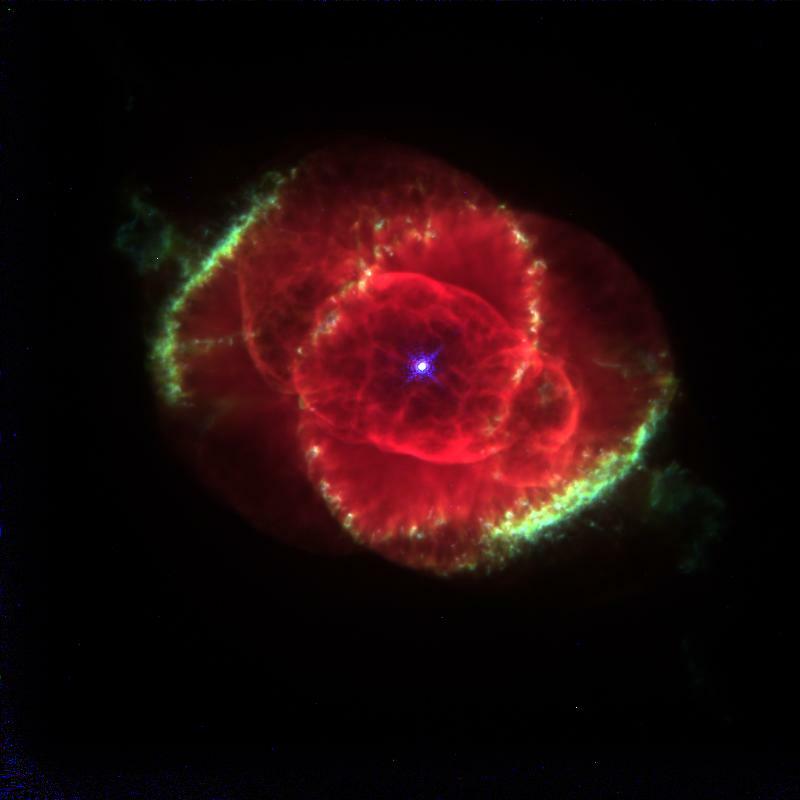 In fact, the features seen in the Cat's Eye are so complex that astronomers suspect the bright central object may actually be a binary star system. The term planetary nebula, used to describe this general class of objects, is misleading. Although these objects may appear round and planet-like in small telescopes, high resolution images reveal them to be stars surrounded by cocoons of gas blown off in the late stages of stellar evolution. NASA Official: Phil Newman; Specific rights apply.